With the right mix of poker bonuses, loyalty schemes and special promotions – there is absolutely no need to play a single poker hand online without getting some kind of benefit in return. You’ll find all the sites will tell you that they have the best online poker bonus. This page will show you which ones to believe. Below you’ll find short explanations of the different types of online poker bonus available. After that an explanation of what makes one bonus better than another (speed, how easy it is to clear, what stakes you’ll need to play and so on). The boring but necessary part about safety checks and deposit options can be found at the bottom of this page. First up, the table below shows the best online poker bonuses for your location (the rest of the article explains what makes these the best). WSOP qualifiers and brand new VIP rewards system worth checking out! Missions, live event satellites and many extra promos – recommended site! Promos include live events in the Caribbean! One thing you need to keep in mind is that the welcome bonus is usually less important than the ongoing rewards in terms of the value you will receive over time from an online poker site. If you pick a good site, you will be playing there for a long time (hopefully at increasing stakes as time goes by!). The loyalty rewards and promotions could be accumulating for 2 years, or maybe more… the initial bonus offer that everyone likes to focus on will usually last between 30 and 60 days. Welcome / Signup Bonus: The big headline offer, this is matched to your first deposit at a percentage rate between 100% and 200%. A 200% bonus means you get $200 for every $100 you deposit. Free Tournament Entries: These often come with deposit bonuses. Examples include entry to a $10k freeroll for new players. You’ll also find tournament entries tied to loyalty programs too. Free Cash: Not so common, though I have 2 offers to cover here. First the $20 extra which goes with your first deposit at Titan Poker with bonus code PBCLUB (see this page for more info). Second, some sites offer upfront cash, 888 Poker give $88 free to new players to try out the real money cash games and tournaments. Loyalty Programs: This is a major factor and all sites have them in one form or another. These schemes reward your play with points, which can then be exchanged for more bonuses, tournament entries and sometimes goods from special stores. There are some major differences between the best and worst loyalty schemes – which will make a big difference to your profits over time. Reload Bonuses: If you hit a bad run and need to reload your account then you will often find bonuses similar to the welcome offer (though usually the percentage match will be bigger). Promotions: The best online poker sites have regular promotions for their players. There are huge variations in these, including qualifiers to live events (World Series anyone! ), online tournament events, leader boards, happy hour deals (extra points or bonuses for playing certain games at different times) and many one-off offers too. If your site does not update their promotions regularly, then it is time to start shopping around. Missions: This is a more recent addition to the poker bonus types. Many sites now have tasks / challenges for players which are rewarded with tournament entries and / or bonuses. When you first start playing online poker, the small stakes are the natural place to head. You’ll be able to become familiar with the games, develop your strategy and not get your bankroll decimated by the army of ‘pro grinders’ with their tools that inhabit the mid-stakes and above. The thing is, a lot of poker bonus deals are very hard to clear at the smallest stakes. Bonus offers work via point collection. When you play cash games you get points based on the rake (small fees that the sites take from each hand), and when you play tournaments this is based on the buy-in amounts (you’ll see $10+$1 for example, and the $1 goes to the site running the game). When you play at the very lowest buy-ins, the amount of points you collect will not get very far through your bonus offer. With these offers expiring after 30, 60 or 90 days – you will sometimes find that you have little chance of reaching the number of points needed to claim your bonus at all. #1 – Go for Front Loaded Deals: Here the free cash offer (for example $20 extra at Titan) becomes very valuable. Not only does this front load the benefits – it will give you an instant boost to your bankroll to hit the games with. 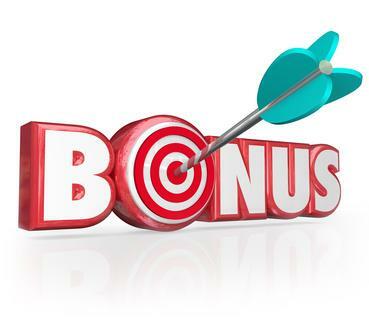 #2 – Bonuses Paid in Increments: This is key, some bonuses are paid in one lump sum once you reach the required number of points, while others are paid in installments of between $5 and $20 as you reach milestones. If you get one in increments, then the risk of you busting out before you get any rewards at all is greatly reduced. Related Point: How tough are the games? Some sites have armies of grinders from lower GDP countries at the low stakes. These are not great players, though they do not give much away – making it hard to clear bonuses at some sites. The Eastern Euro players in this category are often very unpleasant characters (in the chat etc) too… though of course there are exceptions. It can pay to look for sites which do not have this issue. Titan (iPoker) and 888 both fall into the ‘soft’ category and the games there are far more enjoyable, Party Poker is also good. Until you have some good experience (and a thick skin! ), I would recommend not trying to clear your first poker bonus at PokerStars. I have been covering the bigger sites so far, though the same logic applies to the offshore US sites. It is hard for these sites to work as stand-alone poker operators, so you’ll have a choice of gambling portals which offer casino, sportsbetting and poker together. A key additional factor here is are the difficulties getting larger amounts of money in and out. There are methods (Visa works well), though it is harder to take full advantage of a $1000+ bonus offer for most players. On the positive side, sites like Bovada (for Casino and Sports) and BetOnline do offer some excellent value through their player promotions. Deposit options which are currently working well at the US offshore sites are: Visa, MasterCard, PrePaid Visa Cards, Western Union, MoneyGram and BitCoin. Withdrawals will usually be by paper check – I would advise looking out for any fees for withdrawals. I realize that most readers will only take a cursory glance at this section, though I advise you to read it carefully. Online poker is so much better regulated (at least outside of the US) these days, though you still will encounter the odd rogue operator. License: To accept payments a poker site operator will need a license, make sure that they have one. Tested Deal: Make sure that the fairness of their deal has been tested by known independent 3rd party. Contact Info: Phone number and address, if you only see a contact form, this should raise red flags. Multiple Deposit Options: An operator with only 1 or 2 unknown deposit options should raise red flags. No Major Scandals: Check online for delays with withdrawals or bonuses getting withheld for no reason (not just the bad beat stories!). Below you’ll see my main recommendations once again – I hope that in the context of the article above they make a lot of sense! Remember, if you are a small stakes player take the ‘front loaded’ bonuses, as these will not rely so heavily on point collection.